If you have ever sought job search advice, you are familiar with the age old recommendation to “network, network, network”. Networking for work means strategically reaching out to people with the explicit intention to develop ties that can lead to employment opportunities and referrals. The process of building a referral network is mutually beneficial for both job seekers and the employers. For employers, a thoughtful referral from a well-respected source can be very useful to help identify a standout candidate with unique skills. According to Jobvite’s survey, 74% of recruiters view referrals as the source of “higher quality” candidates; 51% of recruiters reported that they consider employee referrals the third most important hiring factor, (after previous job experience and culture fit). SilkRoad’s Sources of Hire 2017 Report revealed that employee referrals are the biggest source for hires. This is so effective that some employers have Employee Referral Programs, which offer financial incentives to employees who successfully refer a suitable candidate. For job seekers, referrals could result in access to jobs that are not widely advertised, or a better chance of being noticed when competing with other job seekers for the same position. Job seekers who are enthusiastically referred by influential contacts are often considered for positions for which they otherwise might not seem to be a perfect candidate; for example, career changers often benefit from networks to get jobs in a new field in which they don’t have experience by leveraging the influence of a well-connected referral. To help job seekers with gaining referrals, LinkedIn recently introduced a function called Ask for a Referral, which enables users to approach their connections for a referral to a job posted in their company. It even offers an optional message which asks the connection to share their profile with the hiring team. LinkedIn also offers job seekers the option of searching for filtering a job search by whether someone in their network is employed in the hiring company. The challenge for job seekers who would like to get a referral from a well-connected network member is that just because they are connected with someone (on LinkedIn or in any other way) doesn’t mean they will necessarily agree to refer them for a job. When an employee refers a person to a job, they are laying their own reputation on the line – they are telling the employer that they think that they candidate is a suitable match to the job and the company; if that turns out to be wrong, it can reflect very poorly on the referrer. Building a network of well-connected people is only the first step in cultivating meaningful referrals. Job seekers have work to cultivate the relationships, so that potential referrers feel comfortable taking a chance to refer them. This may mean that the job seeker might need to ask to meet for a short information interview, or at least start an unintrusive inbox conversation, where they are able to share information about their background, ask a few intelligent questions and assess whether the referrer is willing — or even able — to refer the candidate. This might seem like a lot of work, but it is well worth it – especially if job seekers are struggling to be noticed by employers. 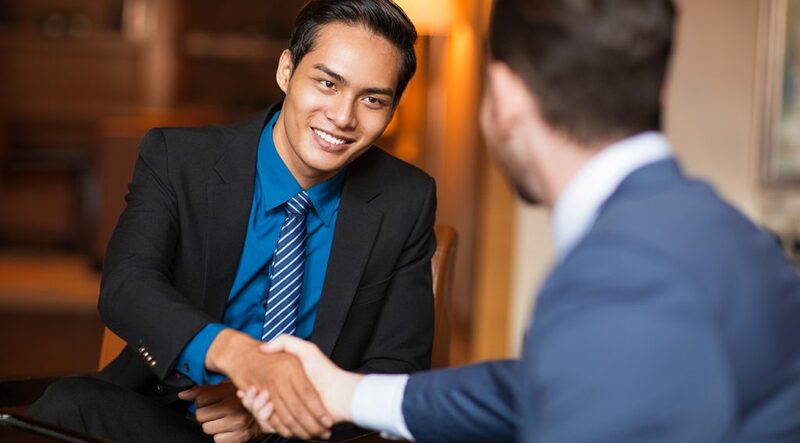 An enthusiastic referral from a well-placed connection can go a long way to helping a candidate’s job application be given serious consideration.